Tattooed brides love us!! If you are a tattooed bride and looking for the perfect wedding photographer to capture your wedding, look no further. Allebach Photography has specialized in tattooed bride and offbeat wedding photography since 2008. Back then we got the nickname "tattooed bride photographer" and "tattooed wedding photographer." 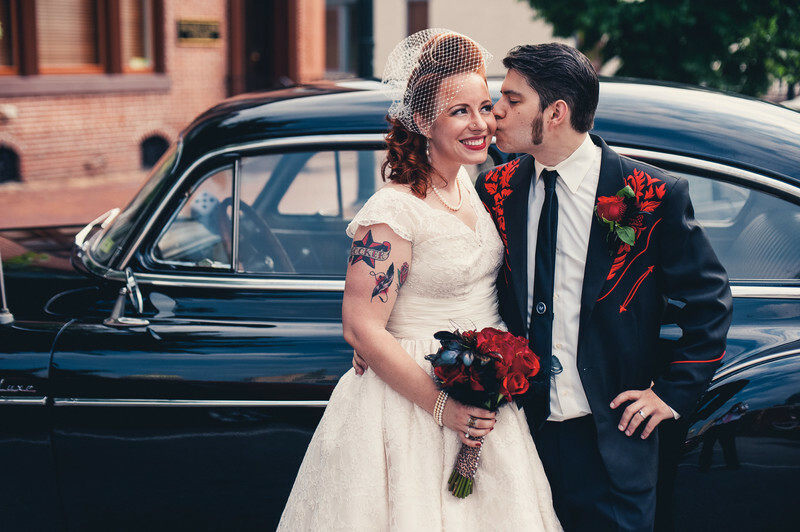 This bride and groom had their engagement photographed at Tattooed Mom's in Philadelphia. It's a favorite location for offbeat brides and grooms. Their wedding took place in Harrisburg, Pa. Contact Allebach Photography for your tattooed wedding at 610.539.6920!